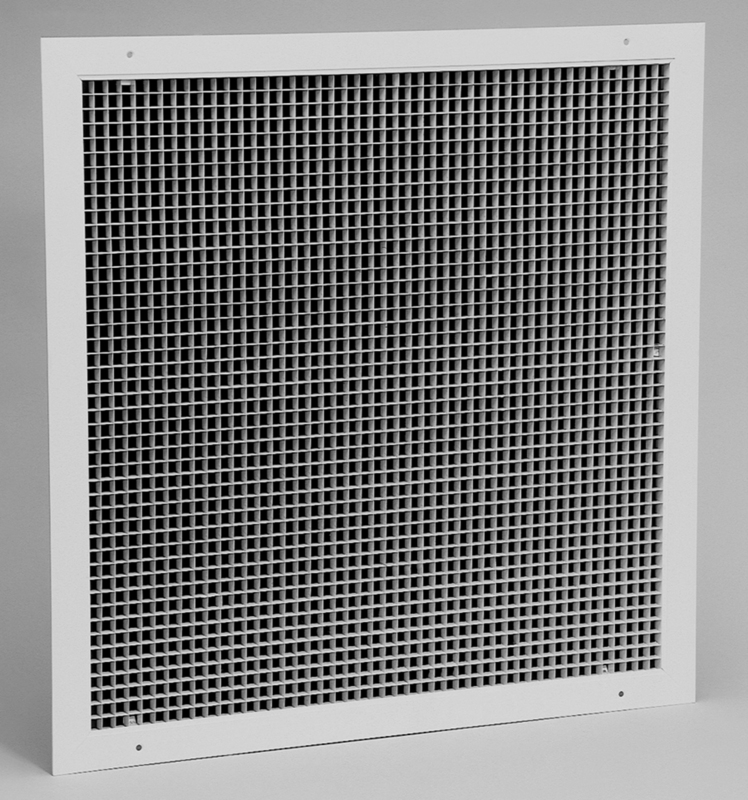 Models ALEC5, ALEC10 and ALEC15 are return air grilles with aluminum square pattern grid, providing maximum free area of 90% and minimum see-through. Model ALEC5 has a core of 1/2" x 1/2" x 1/2". Model ALEC10 has a 1" x 1" x 1" core. Model ALEC15 has a 1/2" x 1/2" x 1" core. Bright White finish standard. Steel T-Bar panel mount option.